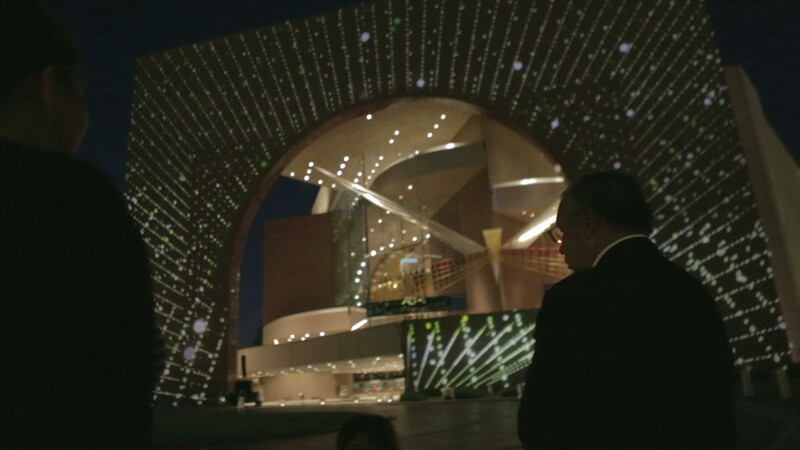 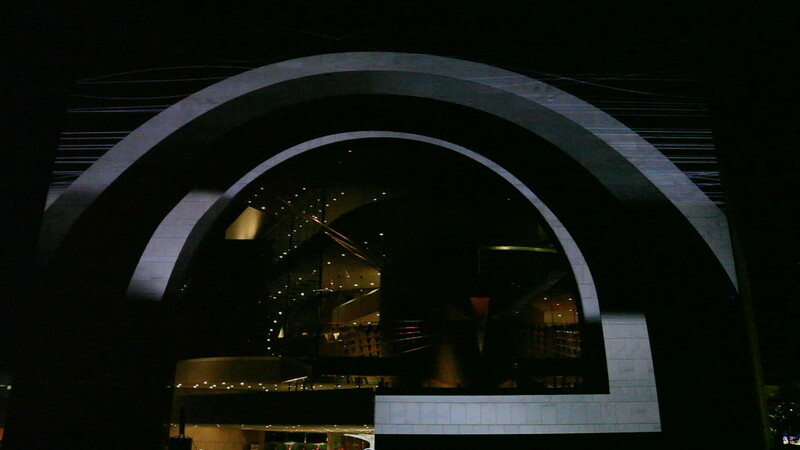 yU+co created a large scale projection-mapped animation for the Segerstrom Center for the Arts in Costa Mesa. 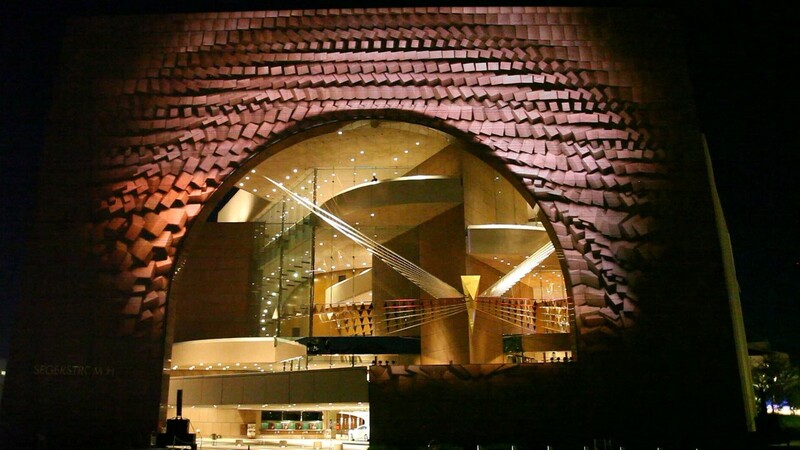 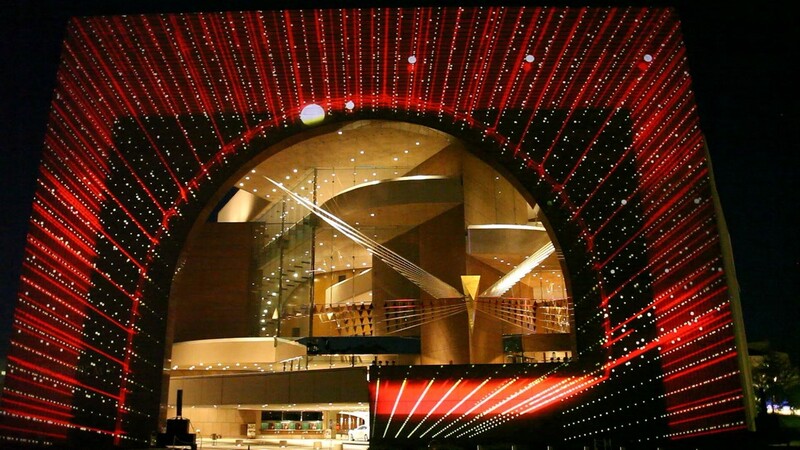 It was designed as a public art piece to bring people together, attract crowds to the Segerstrom Center and help define it as a prime cultural destination in Southern California. 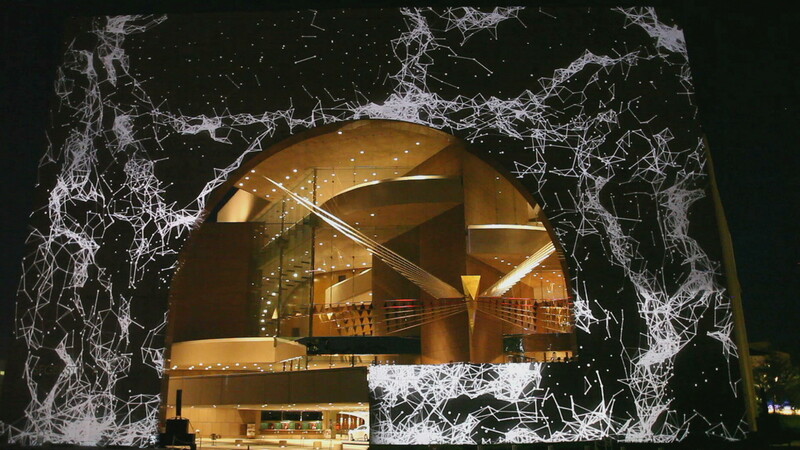 The integration and interaction of image and sound is the key to the presentation; the imagery embraces abstract forms, shapes and patterns, exploring the ways that graphic patterns react to sound. 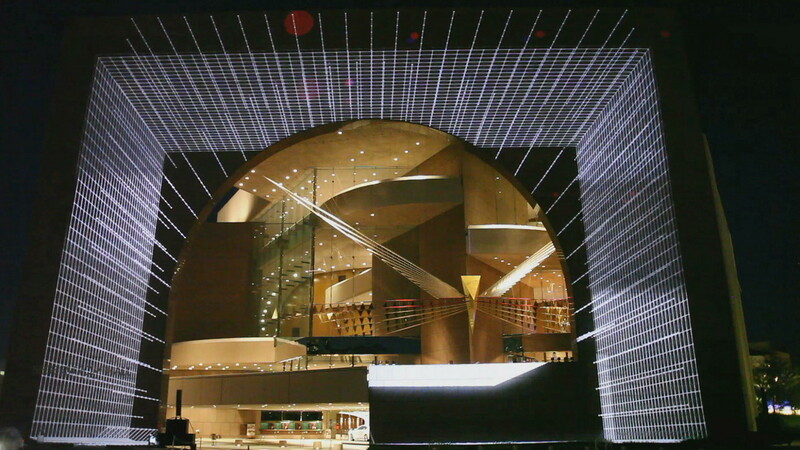 The animation was designed to suit the unique architecture of the 180 x 210 foot hall and projected in 4K resolution.